Today’s depressing realization: The Terminator came out almost thrity years ago. When it hit in 1984, I was a vital 17 years old, but now I’m a decrepit 45, bordering on 46. And it ain’t getting any better from here; it’s not like that trend will reverse itself. But enough whining about my advancing age. Although I really liked Terminator when I saw it in my youth, I must say that I haven’t watched it many times since then. Blame that on the release of 1991’s sequel, Terminator 2: Judgment Day. The top-grossing film for that year, T2 set a new standard for action flicks. When a new laserdisc release of Terminator appeared not long after the theatrical run of T2, I eagerly grabbed it. 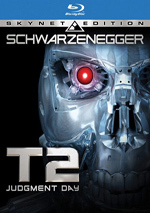 I remembered that I liked the first film, and my enjoyment of T2 seemed to indicate that I’d still care for it. While I doubt Cameron could have gone on to such heights without his experiences on Terminator, I think that many of his subsequent films top it and it looks a bit dated today. Terminator remains an entertaining and seminal work, but it doesn’t match up with Cameron’s later films. Terminator deals with time travel at its start, as two future warriors return to 1984. One - a cyborg called a Terminator (Arnold Schwarzenegger) - has been sent to kill the mother of a man who will become a rebel leader. That woman - Sarah Connor (Linda Hamilton) - hasn’t had her son or even met his father yet, so the machine leaders hope to nip that prospect in the bud; no Sarah, no John, no rebellion, or at least that’s what the future computers hope. To protect Sarah, the human resistance sends Kyle Reese (Michael Biehn). Throughout the early parts of the film, both Kyle and the Terminator track Sarah, and once the cyborg makes her, the chase is on. Essentially the rest of the film follows Sarah and Kyle as they run from the Terminator and try to find a way to get rid of him, something that’s no easy task with the circa 1984 state of weaponry. When I first saw previews for The Terminator, I thought it’d be a cheesy genre flick that’d come and go quickly. I was quite surprised to see the high regard with which both critics and audiences regarded it. While Terminator shared the poor finances and mercenary tone of low-budget junk, it offered a much more engaging and innovative experience than anyone could have expected. And it still does, though I still feel that it seems somewhat bland compared to later Cameron offerings. Without a doubt, Terminator was a much more original and seminal program than was T2; in many ways, one could argue the latter simply remade the older movie. While I don’t think that Terminator is a museum piece, I will argue that it comes across somewhat poorly in comparison with its successors. Objectively, The Terminator really is a pretty good movie. It certainly was an influential work that helped create a whole new genre. However, despite its originality, the film has been surpassed by later examples from the field. Almost 30 years after its original release, The Terminator remains a fairly solid action flick, but it’s not one that I think stands among the best in its realm. 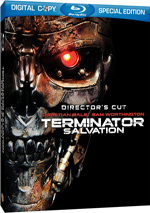 The Terminator appears in an aspect ratio of approximately 1.85:1 on this Blu-ray Disc. On the surface, this was the best the film has ever looked, but it didn’t seem to accurately represent the source. The change occurred in terms of the film’s color timing. For this transfer, the movie has taken on a distinct teal overtone. While not overwhelming, this tint pervaded the image and altered the original. Everything else about the transfer satisfied. Sharpness was usually strong. Due to photographic conditions, detail could lapse a bit during darker interiors, but I thought most of the movie offered very good delineation. Moiré effects and jagged edges caused no concerns, and I detected no examples of edge enhancement. Print flaws failed to mar the presentation, and blacks were usually deep and dense. Shadow detail generally looked clean and neatly visible. When murkiness occurred, it stemmed from the source. What one thinks of the image will depend on how one feels about the new color timing. If the dominance of the teal doesn’t bother you, you’ll love it. If you dislike the new color choice, you’ll be less satisfied. I didn’t hate the tint, but I wasn’t wild about it, so that’s why an otherwise strong presentation got a “B-“ grade from me. As for the DTS-HD MA 5.1 audio, it also altered the original movie. The mix came from the original monaural track, which unfortunately didn’t also appear on the Blu-ray. The soundfield really opened up the track as it offered a broad and engaging spectrum. A little distortion accompanied a few effects, but they usually seemed to be clear and accurate, and they offered some positive depth. (Some effects were redone for the remix, so don’t expect all those elements to come from the 1984 source.) The score appeared nicely vibrant and bright, and it demonstrated good dynamics. Ultimately, The Terminator was a good reinvention of the original soundtrack. How does this 2013 release compare to the original Blu-ray? The audio remained identical, but the visuals changed. The 2013 disc was cleaner and tighter but it came with the aforementioned alterations in color. Even though I’m not wild about the new teal tint, I’d still probably prefer to watch the 2012 disc because it offered so many improvements. The 2013 Blu-ray offers the same extras as the prior BD. 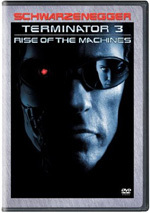 The Terminator: A Retrospective offers interviews with writer/director James Cameron and actor Arnold Schwarzenegger. All of these clips come from older sessions. There are clips of both men together and separately that were shot in 1992, and we also find clips of Cameron with Don Shay from sessions contemporary with Aliens sessions in 1986; these will look familiar to owners of that DVD. The absence of more contemporary comments in the “Retrospective” seems unfortunate, but the 20-minute and 30-second program offers a fair amount of good information nonetheless. The Shay sessions have the benefit of their era; since they took place only two years after the release of Terminator, there wasn’t much time for attitudes to change or memories to falter. That said, the bits with Schwarzenegger and Cameron together were the most interesting, since we got to see them play off of each other. Overall, the “Retrospective” adds a nice look at the film, though not an extensive one. In the 12-minute and 57-second Creating The Terminator: Visual Effects and Music, we hear from Cameron, Fantasy II VFX supervisor Gene Warren, visual effects pyrotechnician Joe Viskocil, producer Gale Ann Hurd and composer Brad Fiedel. The show looks at some visual effects elements as well as the movie’s score. Next we get a collection of seven Deleted Scenes. All of these add up to nine minutes and 55 seconds of material. Many of these are very brief cuts, such as a shot of the Terminator as he leaves the scene of his first Sarah Connor murder. However, a few are more substantial, such as a piece that shows additional character interaction between Sarah and Reese. These are interesting segments, though I agree that most of them deserved to be cut; I would have kept a short snippet in which Paul Winfield’s character departs the movie, but otherwise these bits were unnecessary. As for the Blu-ray, it objectively looks/sounds very good but it comes with compromises. The image comes with a new teal overlay and the audio only includes the 5.1 remix; we don’t get the original mono track, which I believe has remained MIA on Blu-ray. Extras remain good, though we’re still missing some components from the 2001 DVD. 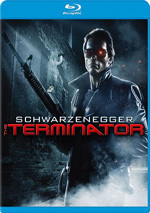 This 2013 Blu-ray is probably the best Terminator on the market, but like all other versions, it has some issues.